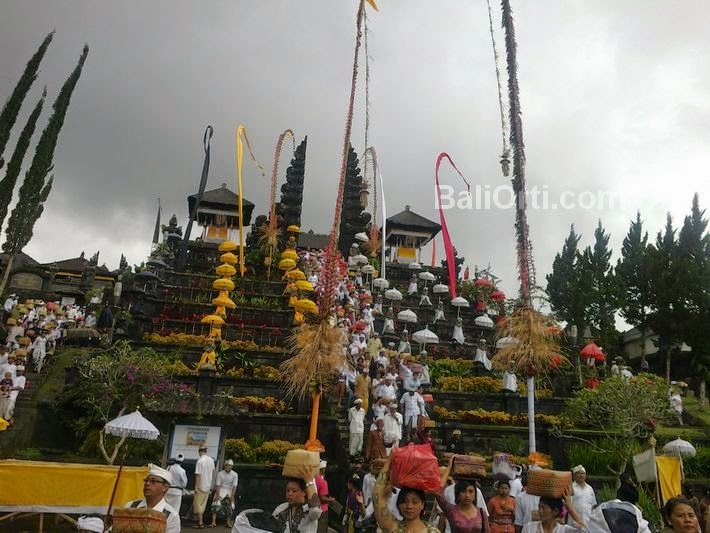 Bali News: When Nyepi 2015, all television broadcasts emanating in Bali, will be turned off. As has been done in previous years during Nyepi Day 2015. This rule has been agreed by all the Broadcasting Agency in Bali, with a reason to make Nyepi quieter atmosphere. When Nyepi, the whole house should be in the dark. There is no light of lamp or fire. broadcasters require considerable electrical energy for daily operations. Similarly, millions of viewers or listeners also requires no small amount of electrical energy to be able to listen to the broadcast emission of broadcasters. For broadcasters, stop broadcasting during Nyepi Day, also the cessation of all activities television broadcasts, for 24 hours, so that all employees can rest and perform rituals in peace. Head of Information and Communications Department of Transportation Bali Province, said that Nyepi has given the efficiency of the efficient use of fuel in Bali, including also not encountered in exhaust emissions during one day. With that, the air quality can be better and cleaner. Nyepi Day is also a day for the health of the earth. No pulusi air, there is no use of fossil energy and electricity, while Nyepy Day a lot of energy saved, because no energy is burned. In connection with the Nyepi Day it has coordinated with the district and the city, especially in the transport sector to work together to maintain a conducive atmosphere during the holy day, to no activity at all harbor entrance. At the time of Nyepi Day in 2015, not only broadcast television is turned off, as well as all transportation activities, sea crossings, airports, all stopped. No one is likely to be allowed to come and go. When Nyepi Day 2015, Ngurah Rai Airport was closed. All flights stopped. When Nyepi, Bali Airport is the only airport that is closed.